The thought of writing a research grant proposal can be a mind-boggling challenge for anyone who has never done it before. For a young faculty member with a full 12-unit load of classes, finding the time to do research – and pursue funding to support it – can seem impossible. Sensing that anxiety from new instructors five years ago, Amy D’Andrade felt she and some of her colleagues in the College of Applied Sciences and Arts (CASA) could help by serving as mentors. They began teaching the many steps of grant writing to a few of their interested CASA associates to allay those fears. From D’Andrade’s experimental program the professor in the School of Social Work created a campus-wide University Grants Academy (UGA). The program launched in 2015-16 with the enthusiastic support of the Office of Research, theResearch Foundation and the Center for Faculty Development. “We thought about how a faculty member would benefit in order to maximize the chances of submitting proposals successfully,” said D’Andrade, who now has responsibilities as UGA director and associate dean of research for CASA. process into smaller “essential elements: Time, Information, Idea-to-Proposal, Finding a Funder, Drafting a Budget, and Writing the Narrative.” The fall sessions were open to the all SJSU faculty. 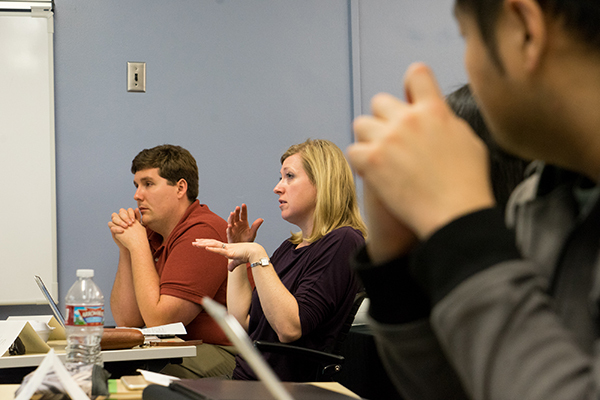 This spring semester, 22 faculty members are continuing with the program. 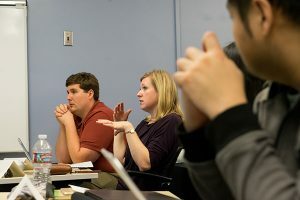 Each participant is working with a set of senior faculty mentors with successful grant writing experience, as well as with the support of grant writing experts from the Office of Research, the Research Foundation and University Advancement. To help them in their participation, each grant writing novice is given three units of assigned time to reduce their spring teaching schedule. Additional information about the UGA is available online or by emailing Amy D’Andrade.